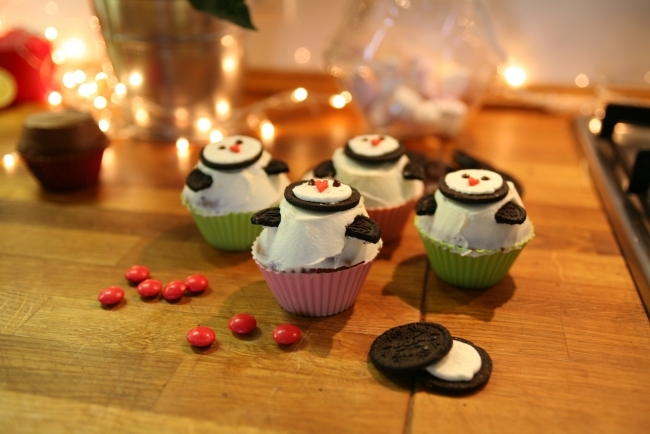 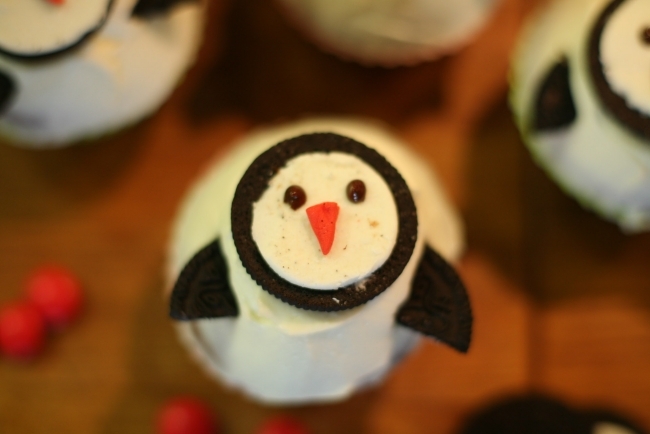 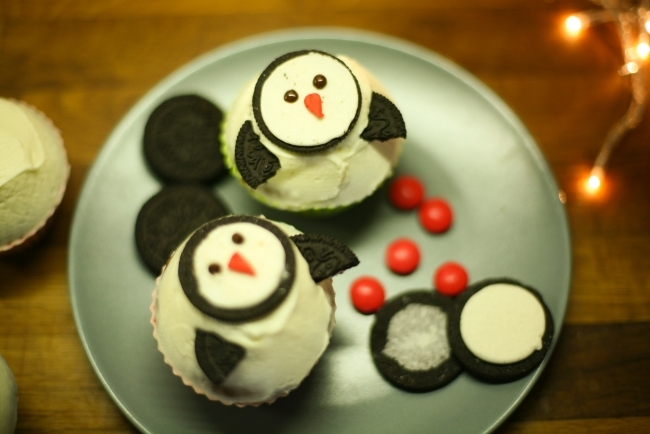 Christmas cupcakes recipes - Reindeers or penguins? 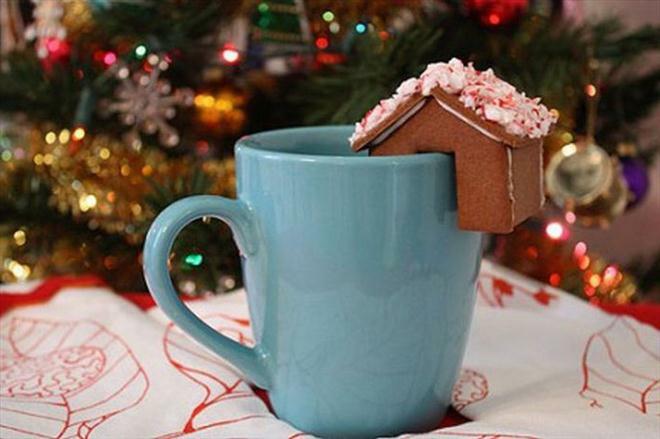 Christmas is a wonderful time for baking – cookies, cakes, gingerbread houses … There are so many great recipes that you could try this winter. 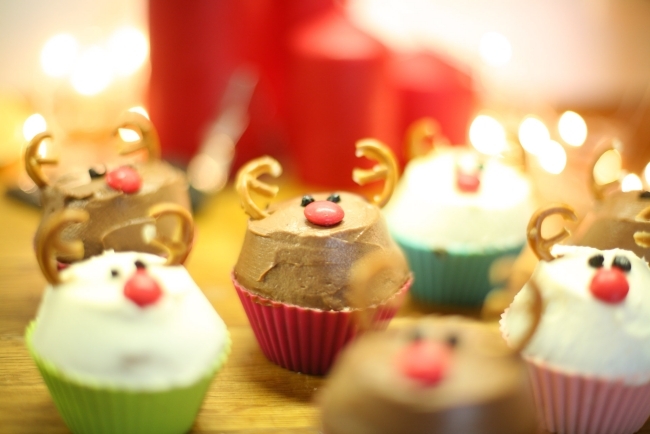 Christmas cupcakes are very special and will look beautifully on the holiday table because they offer infinite opportunities in decorating. 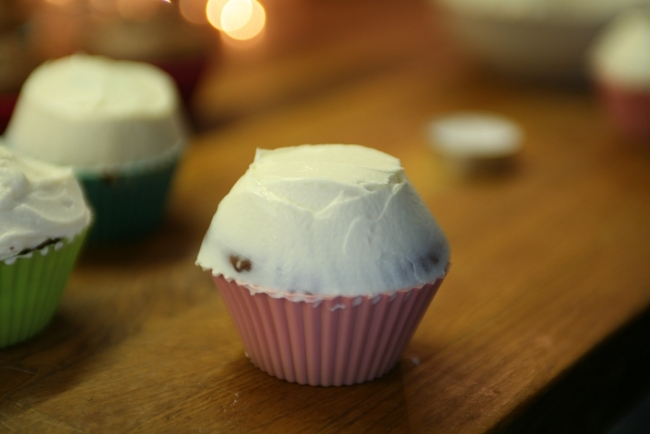 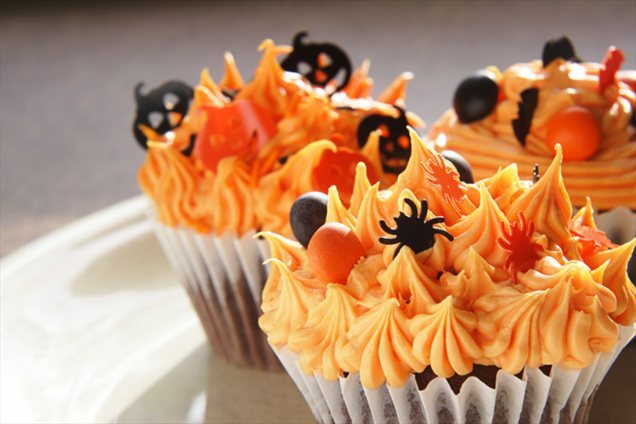 If you can’t or don’t have the time to bake them by yourself you can always buy some plain chocolate muffins from the nearest bakery and continue with the fun part – the cupcake decorating. 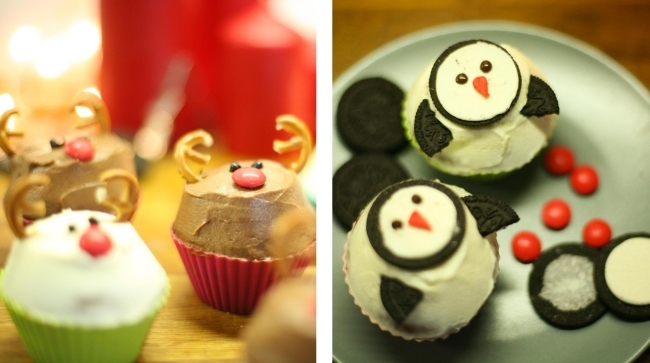 It would be hard for you to decide whether the reindeers or the penguins are cuter so make both! 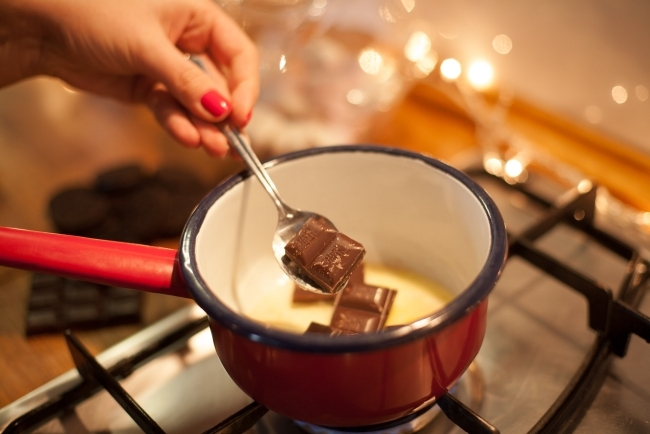 Preheat the oven to 375 ºF. 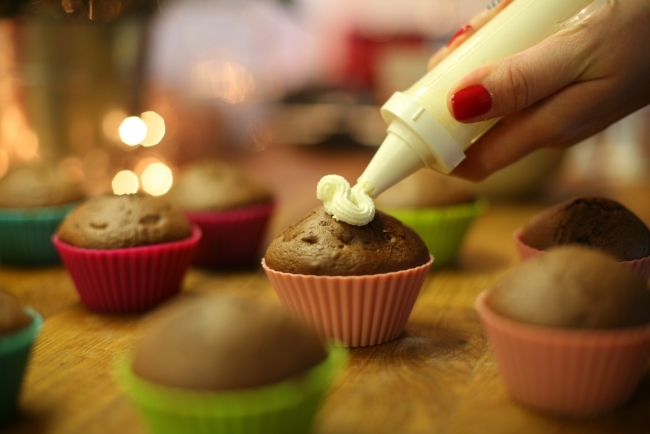 Line a muffin tray with paper or silicone muffin holders. 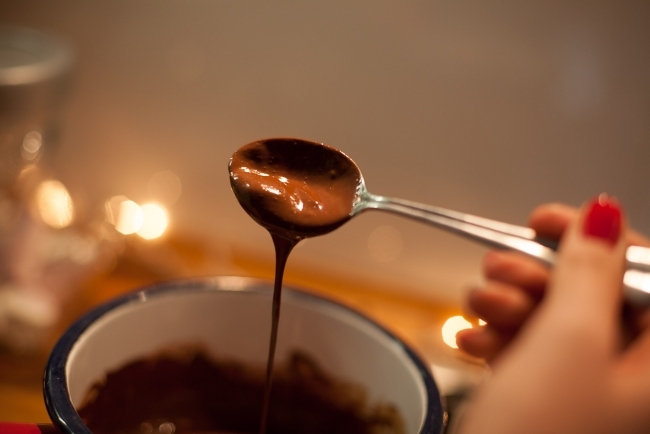 Sift the flower, cocoa and baking powder together and add the sugar and the remaining ingredients. 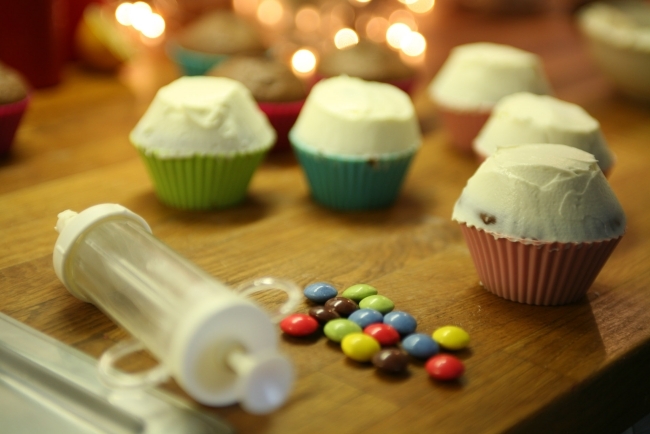 Spoon the mixture into the muffin cases and bake for approx. 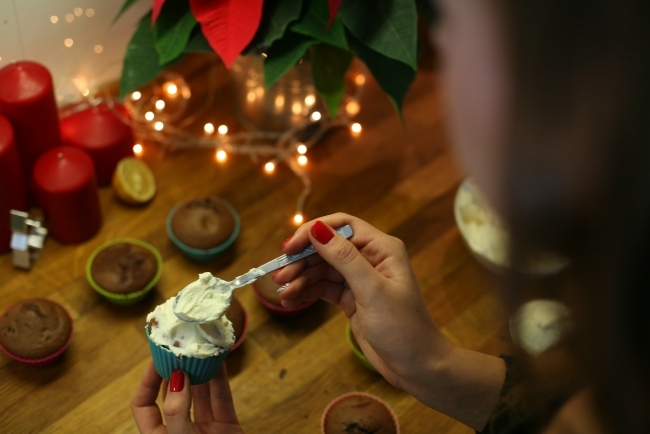 20 minutes. 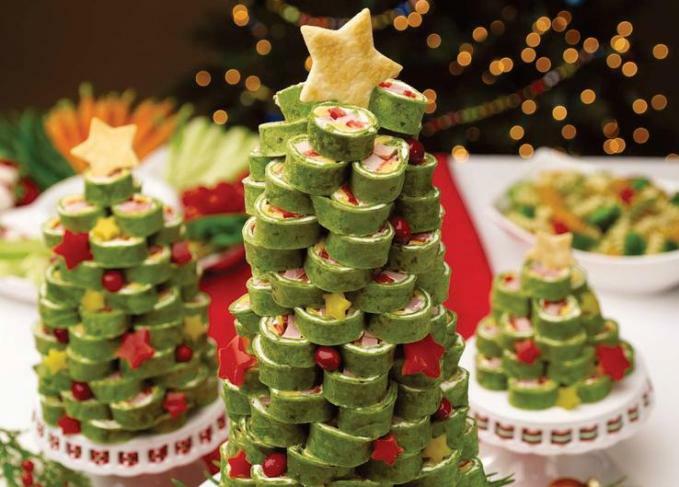 Leave them to stand for 10 minutes before decorating. 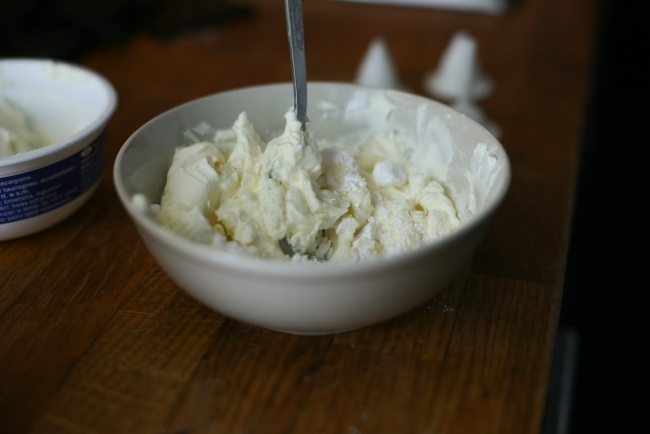 In a small bowl, mix the powdered sugar with the mascarpone and a little heavy cream (not too much, because it might be too thin). 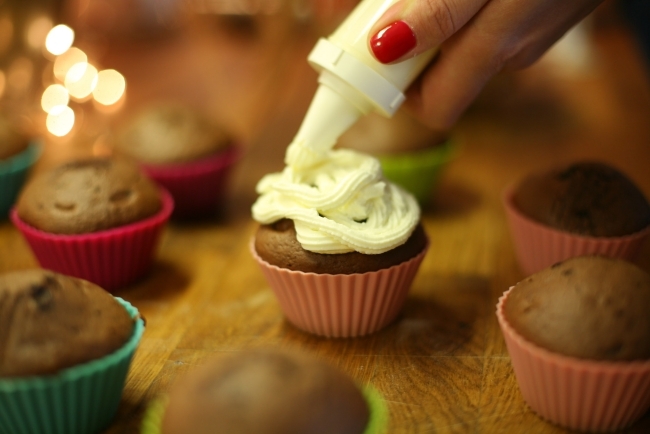 Put the frosting into a piping bag and decorate the cupcakes. 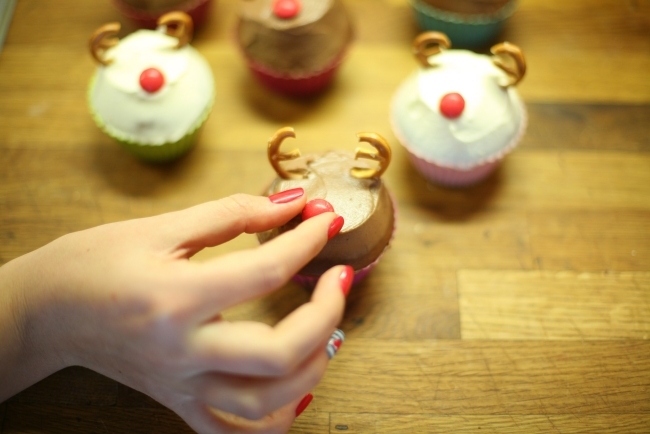 If you want to make the brown reindeer, add a bit of dissolved dark chocolate or cocoa.